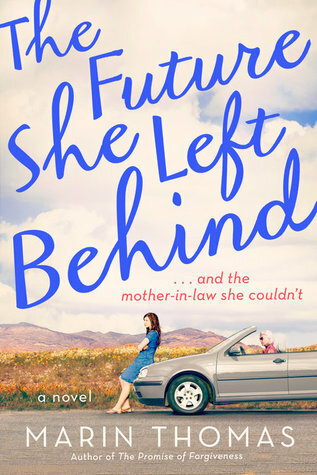 Goodreads: One woman's journey home gets derailed by her soon-to-be ex-mother-in-law in a novel filled with humor, small-town charm, rekindled love, and the resilient ties of family. Kritters Thoughts: Katelyn Chandler has had a tough few years and after a horrible letter from her husband as he travels abroad for work, her world set into a tail spin and she decides relocating may start things afresh. So off to the small town she grew up in with her hellish mother-in-law in tow is how it goes. I absolutely adored this book. I read this on vacation in one day and it was just the right amount of content with easy reading. I loved the characters in this book, Katelyn and her mother and mother-in-law, were just great. I loved that they each had their quirks and no one was perfect and they played off each other so well! The way each of them grew throughout the book was just right, it felt real and honest but was still fiction. Marin Thomas knows how to write a contemporary story with heart where you get completely invested in the characters and fast! I wanted to know about each of them and where they were going and what was going to be next, it is a sign of a great book when you want to know what happens next so bad. I will continue to be a fan of Marin Thomas.